Today I decided NOT to workout in the AM: no shoulder overhead press with the dumbbells because of the three weight training sessions that I had yesterday. I am perfectly OKAY with resting today and fell much more balanced hormonally because of it. 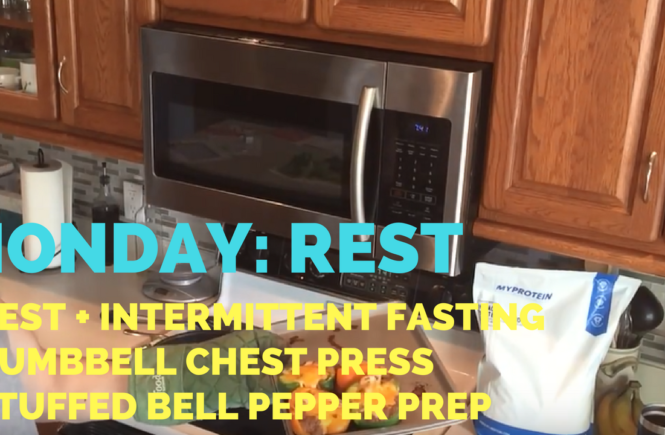 In addition, I discuss intermittent fasting and feeling full and perform a working set of dumbbell chest press. Finally, I do a little dinner prep with stuffed bell peppers baked in the oven for a healthy dinner treat!